When young talent, rese­ar­chers and busi­nes­ses from the hor­ti­cul­tu­ral indus­try come tog­e­ther, then ever­ything is in place for exci­ting things to hap­pen. 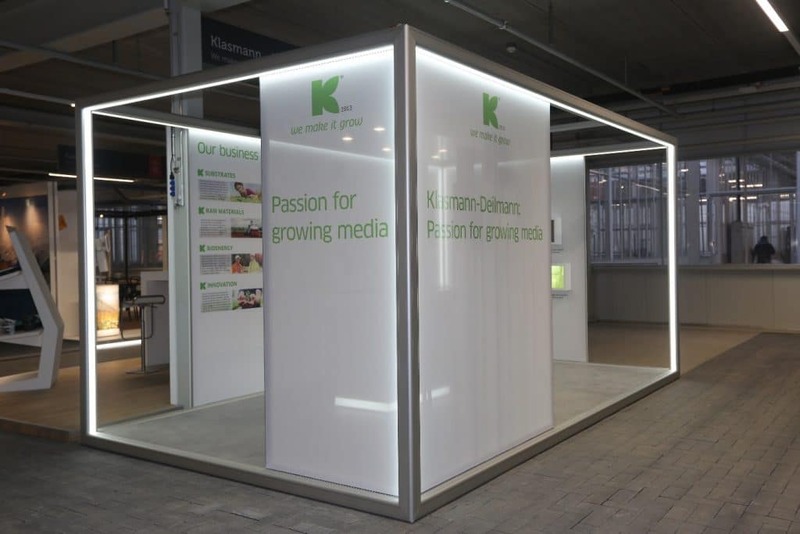 Klasmann-Deilmann is keen­ly awai­ting the ope­ning of the World Hor­ti Cen­ter in March, and will be wel­co­m­ing pro­fes­sio­nal visi­tors to its stand at this per­ma­nent exhi­bi­ti­on. In March, the wai­ting will be over: the World Hor­ti Cen­ter in the Nether­lands will offi­ci­al­ly be ope­ning its doors. And Klasmann-Deilmann will be the­re. The exhi­bi­ti­on space covers 9,000 squa­re metres on two levels, and we are rep­re­sen­ted ‑ as one of 66 stands pre­sen­ting hor­ti­cul­tu­ral-sec­tor busi­nes­ses on the ground floor. Here, visi­tors can find out about Klasmann-Deilmann and get in touch with us via … yes, an inter­ac­tive touch screen! Gui­ded tours of the exhi­bi­ti­on area are also avail­ab­le. It is esti­ma­ted that 25,000 sec­tor pro­fes­sio­nals will visit the World Hor­ti Cen­ter every year. 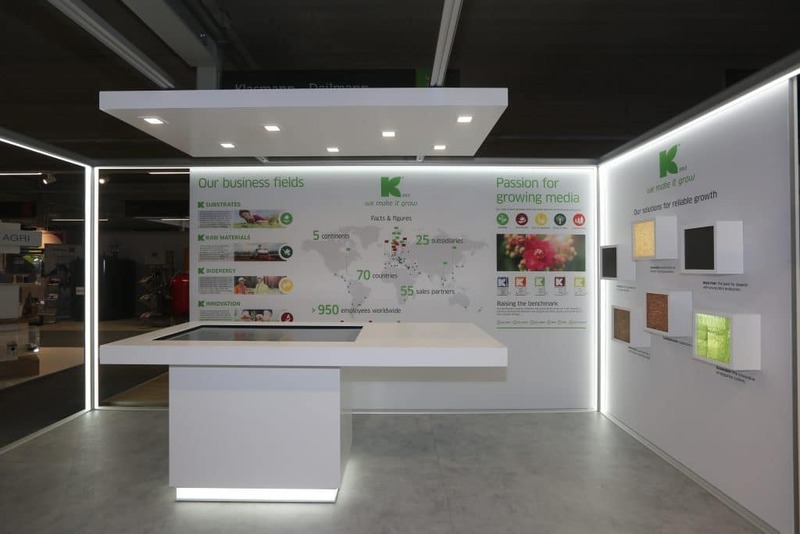 Qui­te a num­ber of our employees from many dif­fe­rent coun­tries have alrea­dy expe­ri­en­ced the inspi­ra­tio­nal vibe of the World Hor­ti Cen­ter ‑ this was when Klasmann-Deilmann hosted an inno­va­ti­on work­shop the­re. And it’s pre­cise­ly this that is one of the Centre’s objec­tives: get­ting an inte­res­ting mix of peop­le under one roof and brin­ging tog­e­ther stu­dents, sci­en­tists and busi­nes­ses from the hor­ti­cul­tu­ral indus­try. Loca­ted in in Naald­wi­jk wit­hin the West­land regi­on, the Nether­lands’ hor­ti­cul­tu­ral heart­land, the World Hor­ti Cen­ter pro­vi­des space for 1,200 stu­dents, events, sym­po­sia and in-ser­vice trai­ning, and has more than 6,500 squa­re metres avail­ab­le for rese­arch green­houses. If you’d like to con­tact us befo­re­hand, or if you have any ques­ti­ons on our stand at the World Hor­ti Cen­ter, then Daph­ne Bron­khorst of Klasmann-Deilmann Bene­lux will be hap­py to hear from you.